I've been missing in action for quite some time, due to my entry into the tech environment the past two years. I'll be working on some new projects related to health, beauty, home decor, and fitness for you all very soon! 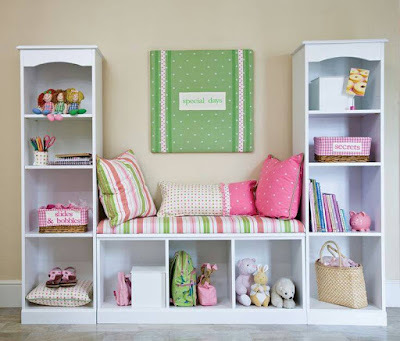 Here is a home project that I'll be working on - stay tuned! There is nothing I love more than a long-lasting handcrafted candle to brighten up my home. Our family has been going through a lot lately, and any chance to make our home more livelier is more than enough to remind me that there brighter days, no matter how many hardships we currently face. 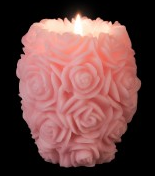 Volcanica Candles is a company that creates handcrafted candles which lasts more than 100 hours. They are in support of Celebrate Woman Today's Breast Cancer Awareness Relay. As you know, October is Breast Cancer Awareness month, and I love the fact that these pink candles are a great way to celebrate. 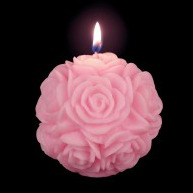 Part of Volcanica Candles' proceeds during Breast Cancer Awareness will go towards the Breast Cancer Research Foundation. Check out Celebrate Woman Today's Volcanica Candle post. You can definitely see the intricate level of craftmanship that goes into each candle. These candles would make great gifts for the holidays, and I would also love to see these candles be given to breast cancer patients and survivors. One lucky winner will receive a set of their own Smart Silk luxury pillows. This giveaway will end on October 13, 2013. Disclosure: The promoting bloggers of this giveaway are not responsible for giveaway prize fulfillment. The winner, once the giveaway ends, will have 48 hours to claim their prize before it is forfeited to the next possible winner. All opinions of the product solely belong to Manic Mama of 2. Enter to win a $75 box filled with crafting, fashion, baking, and home decor products! This is a 24 hour giveaway that will end December 29, 2012 (6am PST, 7am MST). To enter, visit my Facebook page and click on the "Flash Giveaway" tab at the top of the page. This giveaway has already ended, but you can check out the current giveaways on the right hand side of this page!